Are you looking for best point and shoot camera under $300? Do you need a camera that is durable, has great battery life and shoot premium quality photos that your friends will love? Your smartphone will never be able to shoot such sharp photos where you & your friends will look amazing even if you aren't photogenic. I've handpicked 10 best point and shoot cameras under $300 based on my own experience, hundreds of customer reviews & other expert opinions to make a choice easy for you (updated February 2017. Five new cameras & comparison chart added). Canon PowerShot SX710 HS was an easy choice to rank it #1 point and shoot camera (under 300). It has 20 megapixels, 30x optical zoom, great battery life and a fair price tag. If you aren't sure about your choice, get this camera. You won't regret it. Nikon Coolpix L330 is considered to have highest price to value ratio. It has slightly lower performance than Canon SX710 HS but is still a great camera with great price tag ($91.00). Get it now, it's a great choice. When I decided to buy a camera I researched for weeks. I even went to a store to try some and I realized that other cameras in this class (even with viewfinders that I wanted in the beginning) felt like toys. I purchased this one and it’s absolutely fantastic! Before I bought it people told me that cameras in this range are no better than cellphone cameras, but this one proved them wrong . It takes great pics and the zoom is fantastic! I have ordered the Nikon Coolpix L340 online and I just got it a couple days ago but I already love it! I’m not a professional photographer, but when I move from an iPhone camera to this I sure feel like one. As an amateur I wanted a cheap camera that I can learn with but I’ve got even more than I expected. I’m 100% satisfied with the camera. Put simply, a larger sensor gives you more area to capture your image and the pixel count (usually given in megapixels) determines the amount of detail captured. Larger numbers in both of these areas generally (but not always) lead to a better quality of image. Smart phone cameras are fixed lens, which means when you ‘zoom in’ you are really just cropping your image. This reduces the number of pixels and leads to those horrible grainy images we are all too familiar with. Having a lens which has an optical zoom capability means you can get those close-ups, intimate nature shots or portraits in crystal clarity. We don’t always know what conditions we’ll be taking shots under, so low-light sensitivity can be a very useful feature, particularly shooting indoors when using a flash might lead to very harsh images. Finally, if you’re off on that adventure trip, you don’t want thousands of dollars worth of camera, lens and filter dangling round your neck when you’re white-water rafting, so durability and toughness are factors to consider when purchasing for this reason as is battery-life. You don’t want the thing to die on you just at the crucial moment. The Canon Powershot SX710 HS is a great all-rounder. Not the world's biggest sensor on this (28 sq mm), or indeed on most, compact cameras, but more than enough to get razor sharp images for sharing digitally or for printing in snapshot sizes or slightly bigger. The zoom is fantastic at 30x and the image stabilization should keep those photos taken even at full zoom nice and sharp. Not the greatest ISO range at only a maximum of 3200 but it should perform reasonably well in most light conditions. The Powershot comes with a built-in pop-up flash and offers a huge amount of control over the images you take with various priority modes as well as full auto mode for the point and shoot enthusiast. Equipped with built-in Wi-Fi the PowerShot SX710 HS allows you to share photos online right away. User friendly, 'intuitive' menus make it easy to familiarize yourself with and use. The whole thing weighs in at 9.5oz (270g) and fits comfortably into a pocket so you can have all that imaging power at your fingertips and hardly know you're carrying a camera at all. Although at the limit of our under $300 range this camera is well worth the extra few bucks for its versatility, reliability and compactness. Easy to use camera for creative pictures and videos, Coolpix L340 provides sharp 2.0 MP photos and steady HD 1280×720 videos. It has great 28x optical zoom telephoto lens with Vibration Reduction (VR) that gets you closer to physically less available places. This camera offers you 16 scene modes that you can choose between according to a situation, or you can let the Scene Auto Selector choose for you. The design is well thought out, everything is just right where it should be and it is comfortable in your hands. The flash is pretty good for the flash of this class and it’s also easy to use. It takes excellent photos in adequate light but in low-light situations or for night shots you have to crank up the ISO or turn on the flash which can be a little tricky, but now that we no longer live in film days, you can immediately review a photo on 3.0 inch LCD. Unfortunately, you will find that low-light images and night shots turn out to be unsatisfying. The Nikon Coolpix S9900 is another great all-rounder which has many of the same features as the Canon Powershot above and the same price tag. It has a slightly lower pixel count at 16mp and the same sensor size but this is more than adequate for most everyday needs including printing your photos. Like the Canon it has a 30x optical zoom so those close-ups are available and kept sharp by an optical image stabilizer. The Coolpix has a slightly larger ISO range, extending up to 6400 but always remember that increasing the ISO leads to increased graininess in your images. Again you can opt to have almost full manual control over your images should you choose with the exception of manual focus. The Coolpix too can be used for video with 1920 x 1080p resolution and has built-in Wi-Fi to allow for instant sharing. The menu set-up is straightforward and user-friendly and with the Nikon Coolpix S990 weighing in at only slightly heavier than the Canon Powershot SX 710 HS (10.2oz, 289g) this is a great alternative to the Canon. It has the best in class 24x zoom at the f2.8 600mm lens and it provides excellent photo and video quality for a camera with a small sensor. The body is weather resistant and it’s comfortable in hands. It offers a lot of manual and semimanual shooting modes. The control and settings navigation might be too complicated for those who are used to Auto. This camera provides an excellent photo and video quality, has a full feature set and I’s perfect for those who are looking for something in between point-and-shoot and DSLR camera. It has a small-sized sensor of 12.1 MP (usually found in premium smartphones) but it comes with 35mm equivalent of an f2.8 600mm lens. With this, you don’t have to use high ISO to get a good shot which is amazing because Panasonic is a little heavy on the noise reduction at high ISO. Also, to avoid noise, you will probably want to shoot in raw because that way you can be in the control of detail and noise and make a good balance between them. FZ300k has many manual and semimanual shooting modes for stills and videos and also a lot of settings that allows toyto adjust almost everything. You should especially pay attention to one new setting option Panasonic added called Post Focus which actually reversed the whole process. When you capture your image, you can then tap on the touch screen to select your focus point and then toy can save your photo. You should be extra careful with this if you don’t want to end up missing your shots or you can manually turn it off in the settings menu. Slim and sleek, Canon ELPH 360HS provides good quality 20.2 MP images and 1080p full HD videos a 30p. It has a DIGIC 4+ image processor that allows providing nice, detailed images and non-expandable ISO of 80 – 3200. Images are great in adequate light, but when you crank up the ISO the images turn out to be disappointing, and the same thing happens when you use flash. Also, not such a great thing is that you can’t be involved much in image making process (when it comes to settings) because there are no manual control settings. You can only adjust ISO. If you aren’t a professional photographer this won’t bother you. It’s always great when you can transfer and share your photos and videos to a smartphone or a tablet. This camera allows you to do that with built-in Wi-Fi and NFC, and you even have Wi-Fi button on the back of the camera for quick and easy connecting. Overall, this is a stylish and affordable camera with an easy-to-use design and it’s lightweight so you can carry it around everywhere capturing memories. This entry-level super zoom camera includes a built-in zoom lens with twelve elements in nine groups and Vibration Reduction, 16 MP sensor and full wireless connectivity. VR is very important not only because of the 40x zoom but also for shooting in low light. Coolpix B500 provides good quality images but it also can record full 1080p HD video at 30p or 60i and 720p video at 60fps. The lack of an optical viewfinder is compensated with 3.0 inch LCD screen that provides 98% frame coverage which makes capturing images from difficult angles easier. Another great thing is that you can share all of your photos and videos with your friends, via built-in Wi-Fi or Bluetooth. The design is great, it looks serious and it feels solid. The only thing that I don’t like about this camera is that aperture and shutter speed cannot be set nor prioritized and there isn’t much for a user to do to directly control the process of making images. This is one for those of you who like it rough. The Olympus Tough TG 870 is perfect for those who like the adventurous lifestyle and need a camera which can withstand the elements and some harsh treatment. Although not as versatile as the Canon or Nikon this camera is great for video with the capacity for full HD 1080p video recording at 60 frames per second. The sensor is the same size as the Nikon and Canon with 16mp so photos should be more than sharp enough. It features a zoom of only 5x but even so still has optical image stabilization so those pics will stay sharp. Without the ability to utilize aperture, shutter or manual modes it's really left to the camera to make many decisions for you which might put some people off (particularly if it's being used in place of a DSLR) but the Olympus's ruggedness means it more than adequately fulfills its primary purpose as a camera for those who wish to use it for photographing or videoing outdoor pursuits. The TG 870 is waterproof to 50m, freeze-proof and shockproof (to an extent anyway) and although the limited zoom is a downside it has a fairly wide-angle of 21mm when not zoomed in so it's good for those wide shots. As with most 'activity cameras' performance has been sacrificed somewhat for robustness despite being light in weight (7.8oz, 221g). In its class, the Olympus TG 870 is certainly a good buy at around $279.99. Going slightly further down the price range we have the Samsung WB350F. This camera has the same sensor size as most compact cameras with 16mp and has a full HD video function at 30 frames per second. It has many of the same features as its more expensive cousins such as full manual mode, shutter and aperture priorities and image stabilization Even at the full 21x zoom the IS system should keep images clean. Despite having many of the same features as more expensive cameras the Samsung falls down a little in performance tests. With an ISO extending up to 3200 the WB350F sadly begins to run into trouble at anything over ISO 800 so it's not really ideal for low light shooting. The lens isn't the best in the world either with some loss of sharpness in the corners of images. On the other hand the performance of the white balance is reasonably good as is as is its color performance. The WB350F also features a panorama function which allows you to press the shutter then pan from to side side to get a wide panorama shot but the resolution on these images is low. It also features some preset filters which allow you to apply effects to your photos or deselect them as you will. 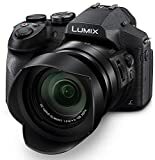 Given that it's a good deal cheaper than some of the others listed above this is nonetheless a decent entry level compact point & shoot camera for those with a limited budget or who wish to share images over the internet. Good for travel too as it slips easily into a pocket and weighs only 9.74oz/276g. For the money you will pay this is a decent camera but not one to set the heather on fire. The Sony Cyber-shot DSC-W830 is one of the better more competitively priced compacts out there. With 20mp resolution and the usual 28sq mm sensor it performs adequately when taking stills in most light conditions thanks to its Weiss lens although noise is an issue at higher ISO's. The video function allows for 720p video at 30 or 25 frames per second so a bit less picture quality than most of the others featured here. It lacks the manual control and shutter and aperture priorities which may be a problem for more experienced photographers but the Auto controls are fairly well managed on-board. Auto focus in low-light conditions and a relatively small, fixed LCD screen could be problematical under some circumstances. With an 8x optical zoom and optical image stabilization images should remain sharp even at full zoom although some users have complained about more blurry images than they should have. The DSC-W830's ultra compact design make it an attractive option for those who want something small and light which does a decent job but the lack of Wi-Fi connectivity can be a downside. Battery consumption and lack of power management can be an issue for some but overall the DSC-W830 is a good performer considering its cost and is a decent introductory/entry level camera and definitely a significant step up from the smart phone camera. Easy to use camera for creative pictures and videos, Coolpix L340 provides sharp 2.0 MP photos and steady HD 1280×720 videos. It has great 28x optical zoom telephoto lens with Vibration Reduction (VR) that gets you closer to physically less available places. This camera offers you 16 scene modes that you can choose between according to a situation, or you can let the Scene Auto Selector choose for you. The design is well thought out, everything is just right where it should be and it is comfortable in your hands. The flash is pretty good for the flash of this class and it’s also easy to use. If you still can’t decide which one of these ten cameras is the right fit for you, ask yourself why you want the camera in the first place. What will you be shooting? If you need good quality images that you want to print later, then you should go for one of the top two: Nikon Coolpix L340 or Canon PowerShot SX710HS (or even Canon ELPH 360HS). But, if you want something even cheaper and you actually want it just for capturing memories with your friends and family, you will probably be satisfied with any of the other 7 cameras.